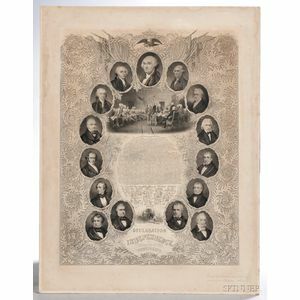 Declaration of Independence and Portraits of the Presidents, Broadside, c. 1857. Philadelphia: Ulman and Sons, [c. 1857]. 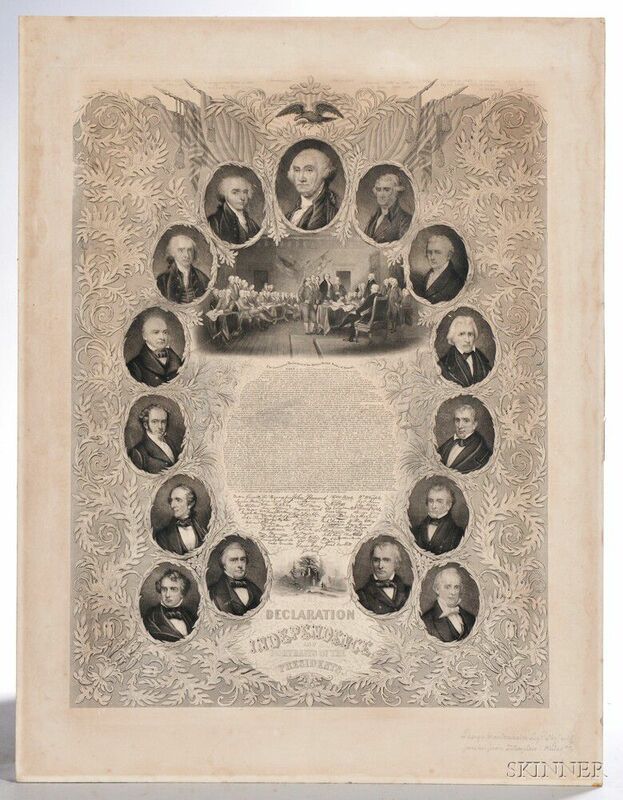 Engraved broadside on paper incorporating the text of the Declaration at the center, with facsimile reproductions of the original signatures; a reproduction of the painting of the original signing; surrounded by oval portraits of the presidents from Washington through Buchanan; mounted, 23 1/4 x 18 in.